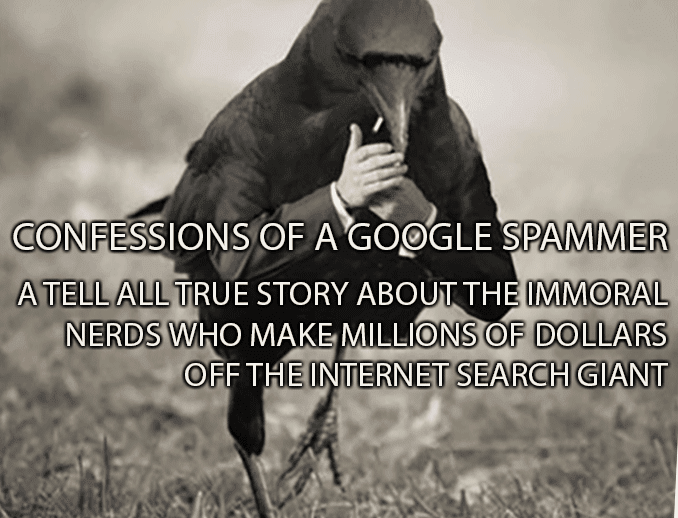 I never wanted to spam the Internet. Google made me do it. This is what I told myself back then. We're helping Google improve their algorithm! Content is king?!? LOL! Links are the only content you need. Google's lying to people. They deserve to get spammed. If we don't do spam, our competitors will--and then they'll beat us. We have to spam. We're helping our customers--the little guy--win the battle against a big, bad, evil empire that wants to enslave them to paying PPC costs!